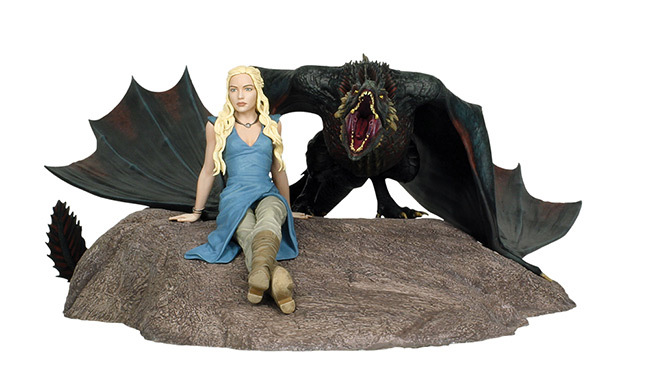 DARK HORSE REVEALS AN ALL-NEW GAME OF THRONES® DAENERYS AND DROGON LIMITED-EDITION STATUE AT TOY FAIR 2015! 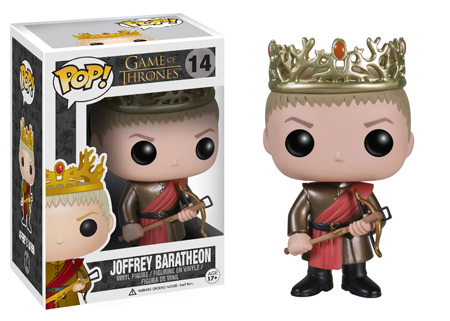 Milwaukie, OR - January 2015 - Dark Horse is kicking things off for Toy Fair with the reveal of the latest release in its growing line of figures based on characters from the smash-hit HBO series Game of Thrones®! Daenerys Targaryen, the last noble of her house, is on a path to reclaim her destiny in Game of Thrones. She has emerged as one of the series' best-loved characters. Dark Horse Deluxe has focused on an iconic moment of Daenerys and her dragon, Drogon, to create an elaborately detailed pre-painted limited-edition statue measuring 14" across and 18" from front to back. 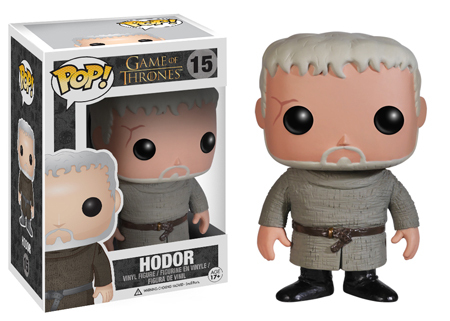 October 2014 - Funko has announced a new type of POP! vinyl figures, the Pocket POP! 3-packs in window tin packaging. Each figure is 1.5 inches tall. The Frozen set will be available in December 2014. The other sets shown here will be arriving in stores in January 2015. Look for The Walking Dead, DC Comics, Game of Thrones, and My Little Pony. April 28, 2014 - Are you following us on Twitter? I just tweeted links to three new contests! - Sideshow Collectibles is giving away a life-size Star Wars Darth Vader bust. Enter by May 7th. - USA Today is giving away a batch of Batman goodies. Enter by April 30th. - Zimbio.com is giving away a Game of Thrones White Walker action figure. Enter by May 4th. 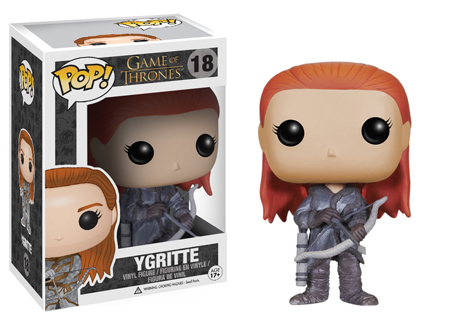 LYNNWOOD, WA – February 11, 2014 – Funko is excited to announce a new line of highly articulated action figures celebrating some of pop culture's biggest franchises. The hit HBO® series Game of Thrones® will be the first license released in the Legacy Collection, which is currently available exclusively in Barnes & Noble stores nationwide in time for the Game of Thrones: The Complete Third Season DVD release on February 18. It will follow at additional retail partners on March 4. 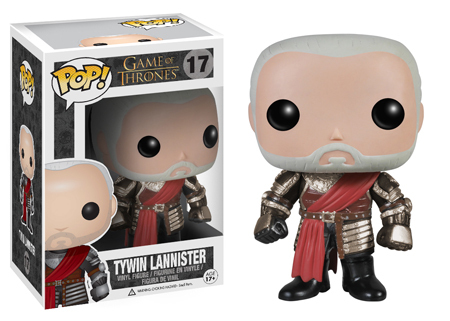 The first wave of the Game of Thrones Legacy Collection introduces some of the series' most popular characters. 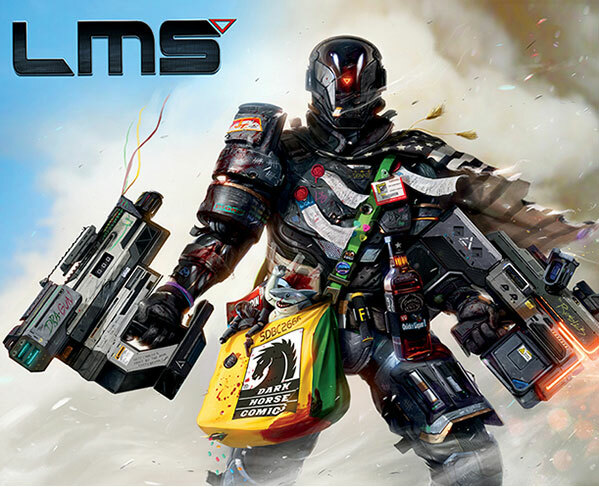 Each action figure will feature 20+ points of articulation and its own removable accessories. 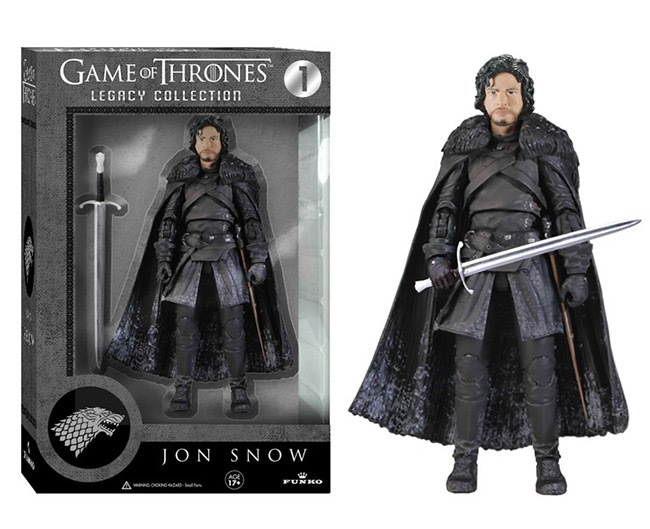 Jon Snow - The Jon Snow Legacy Action Figure is a 6" tall highly articulated action figure. 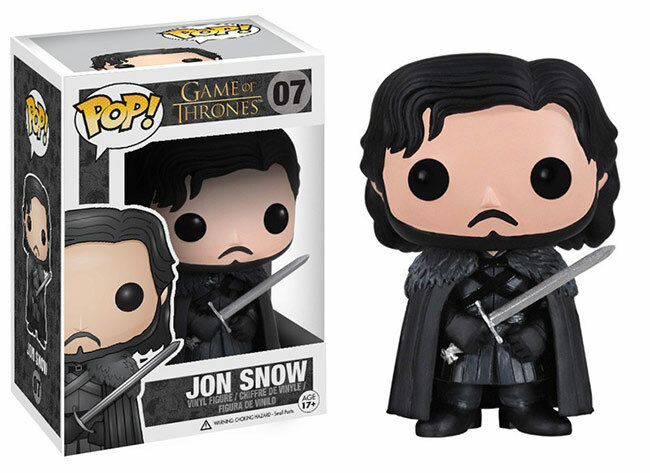 The figure features Jon Snow's sword, Longclaw, as an accessory. Ages 17+. 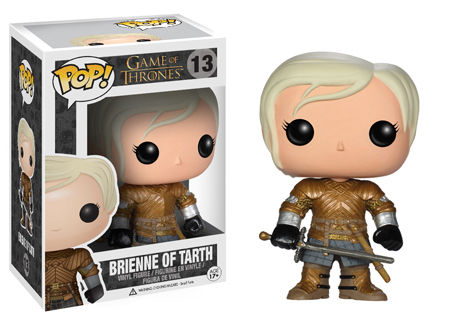 DARK HORSE ANNOUNCES THE NEXT WAVE OF GAME OF THRONES® FIGURES, TO RELEASE IN JULY! MILWAUKIE, OR, JANUARY 10, 2014 - The epic HBO® series Game of Thrones has won worldwide success and a legion of fans. 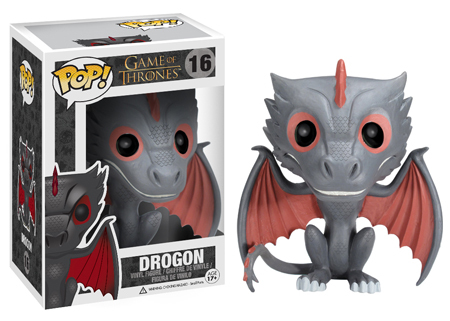 This audience is clamoring for unique collectibles and merchandise, and Dark Horse has been working with HBO Global Licensing to provide just that. 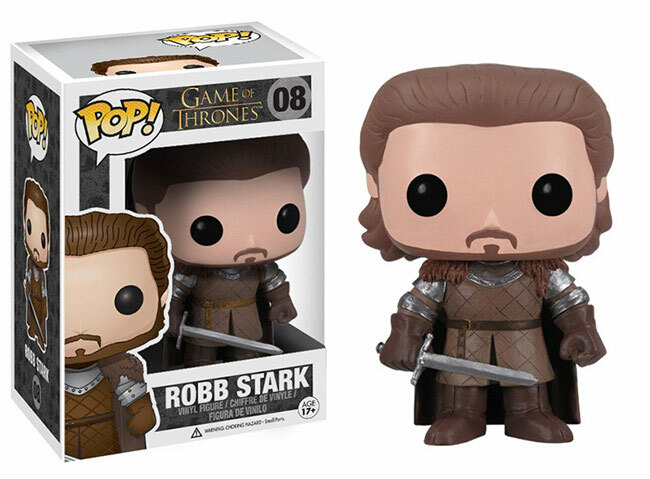 A core item in the Game of Thrones program is the ongoing series of high-quality, affordable, molded-plastic figures of the most in-demand characters. Building on the success of the previously announced lineup, five new figures will debut to the trade in February at the International Toy Fair, held at Jacob Javits Center in New York. 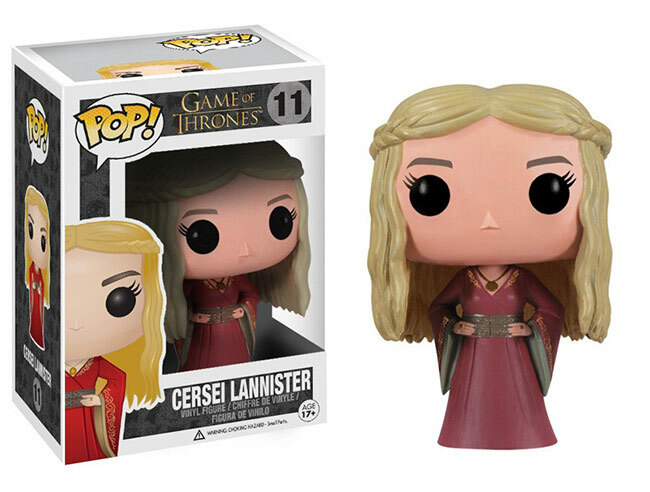 Expect to see these new POPs in stores around January 14th, except for Daenerys, who will follow the others around February 18th. SDCC: DARK HORSE ANNOUNCES SAN DIEGO COMIC-CON EXCLUSIVES STORE! June 18, 2013, MILWAUKIE, OR - The largest and most highly anticipated pop culture event of the year is right around the corner, and Dark Horse is bringing you the latest and greatest in exclusive comics and products from Dark Horse Deluxe! This year at the Dark Horse booth, a dedicated store will be open throughout the convention where fans can purchase these limited and highly collectible products. 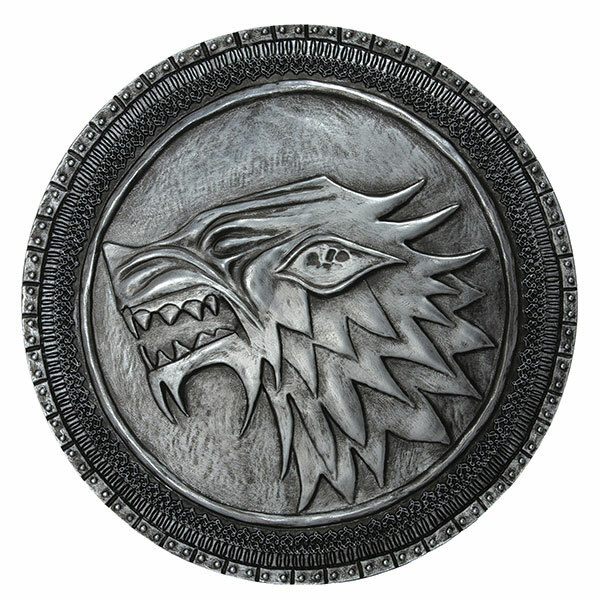 Sculptural replica of Stark shield. Packaged in full-color box. Includes hook for wall mounting. 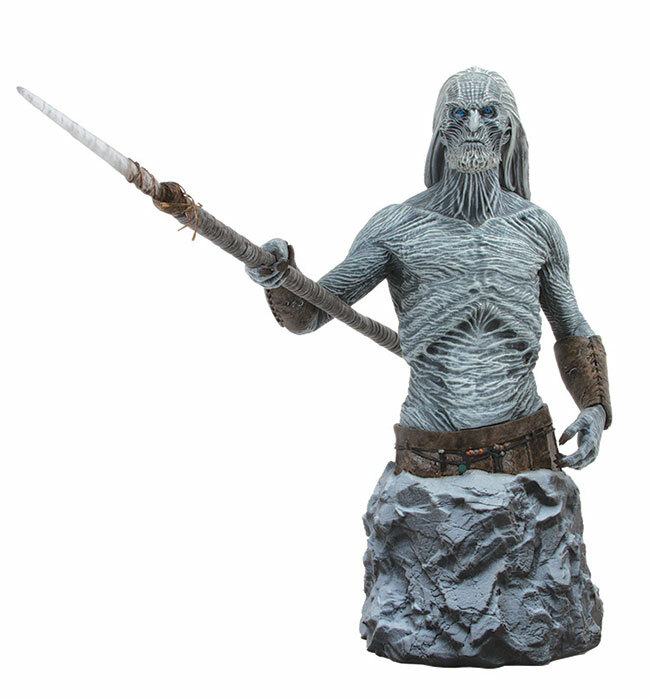 DARK HORSE OFFICIALLY UNVEILS THE GAME OF THRONES® WHITE WALKER STATUE! This highly anticipated collectible featured in Diamond Comics Distributors' September-dated PREVIEWS catalog! 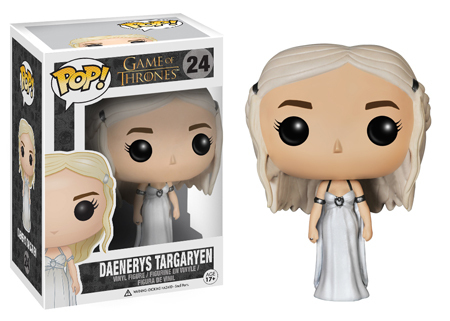 MILWAUKIE, OR, JUNE 17, 2013 - Following its "sneak" debut to the industry at this year's Toy Fair International, Game of Thrones fans have been clamoring for an official release date, and images of HBO® and Dark Horse's White Walker statue. 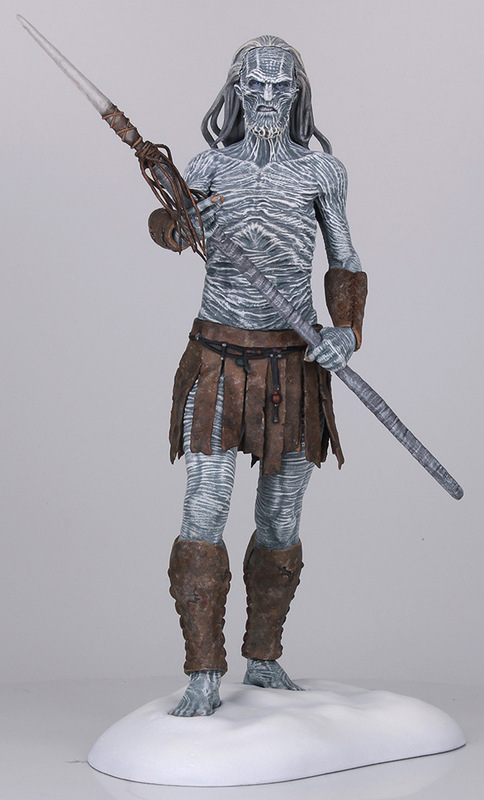 Arriving at finer comic shops, bookstores, and specialty retailers on December 18, 2013, the White Walker is a hand-painted, numbered limited edition collectible. Each bust is packaged in full-color collector box, will include a numbered certificate of authenticity. Retail price is $124.99. White Walkers, or the Others, are a fierce mythological race who are seldom seen as they lurk and prey in their land in the frozen north of Westeros. The Wall was constructed ages ago to keep them isolated. This evil creature speaks in cracked tones and brandishes a deadly icy weapon, as immortalized in this beautiful collectible piece. DARK HORSE LAUNCHES ALL-NEW NEWSFEED WITH DAILY REVEALS OF 2013 COMIC-CON EXCLUSIVES! 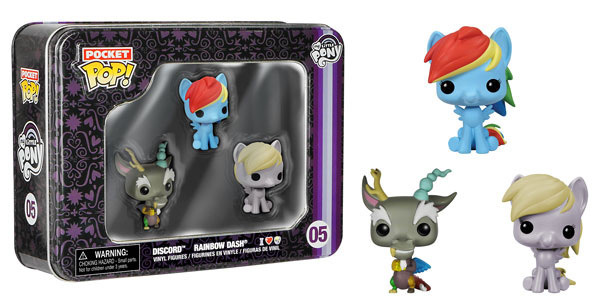 JUNE 10, 2013, MILWAUKIE, OR - As anticipation for this year's pop culture main event grows, Dark Horse makes the first of many announcements regarding exclusive products for this year's Comic-Con International! Every day this week, Dark Horse will reveal one item to be sold at this year's convention, exclusively on Dark Horse's all-new NewsFeed! Up first is what will surely be one of this year's most sought-after items! 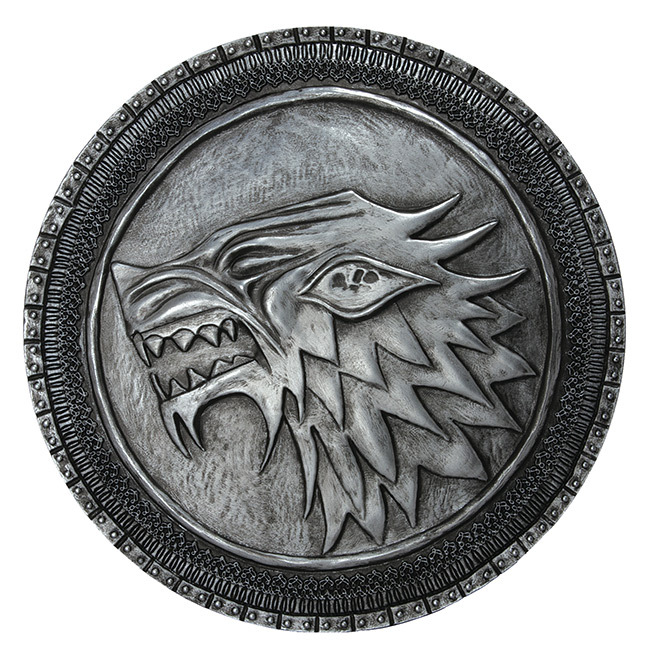 Continuing in Dark Horse's incredibly successful line of collectibles based on HBO's Game of Thrones comes this limited-edition sculptural replica of the Stark shield! This seven-inch replica comes with a hook for wall mounting and retails for $30, with a limit of two per person. Produced in an incredibly limited run of only 1,200 pieces, these are sure to go fast! 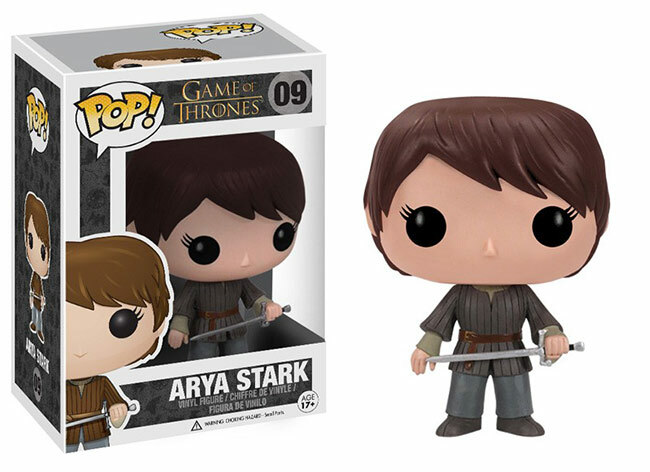 March 2013 - Funko has announced a second batch of POP! 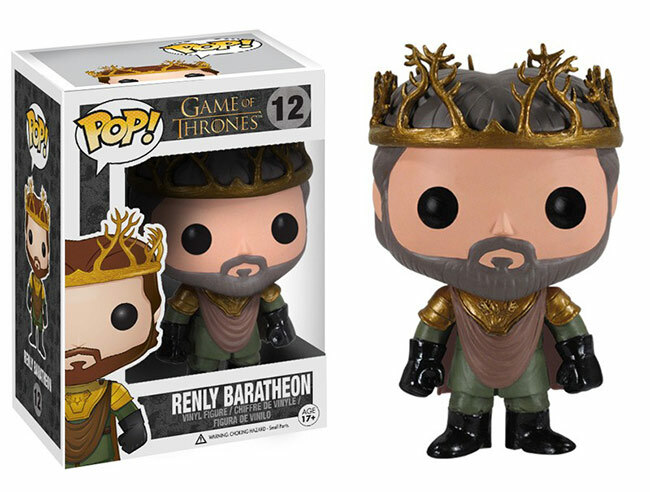 vinyl figures based on Game of Thrones. 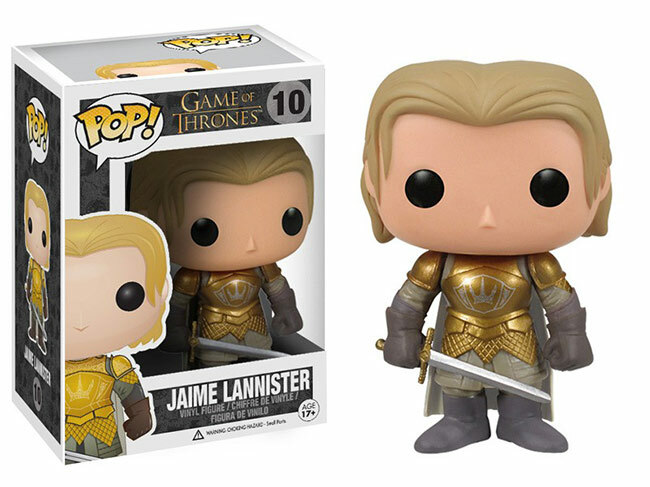 Expect to see Jon Snow, Arya Stark, Cersei Lannister, Jaime Lannister, Robb Stark, and Renly Baratheon in stores around April 11th.